November is movin' and groovin'... and we're grateful we can keep track of this fast-paced day-to-day life using The Happy Planner™ line's Weekly Planner Pad. Today we're sharing a sheet of this week created by mambi Design Team member Jen Randall using a bunch of me & my BIG ideas embellishments in interesting and unique ways. "My inspiration for this week was to change it a bit to match my kitchen decor AND to use some other mambi products that are NOT from The Happy Planner™ line. I wanted to share how other items could be used to decorate/plan for the week. I grabbed a sheet from the Weekly Planner Pad and went crazy using goodies from mambi!" 1) Cover the top portion with a mambiSHEETS page in a pattern you like. I used a beautiful white wood grain page from a new 12x12 pad. 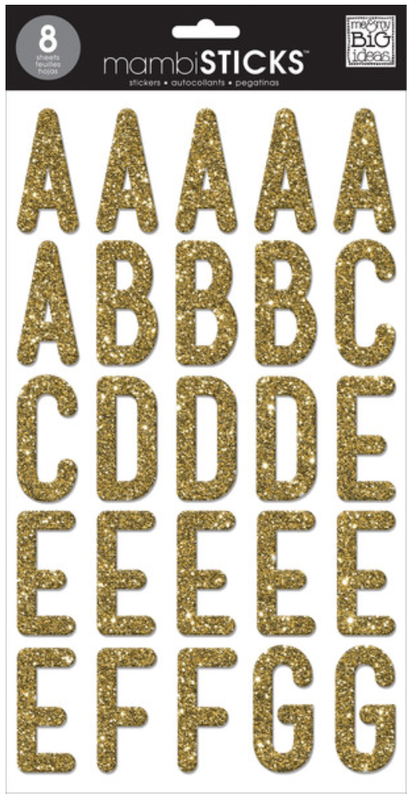 2) Add some gorgeous gold glittered mambiSTICKS alphas to spell out 'November'. I only lightly tacked down the patterned paper below with removable tape, so each week in November I can reuse the top. I didn't want to waste those letters. 3) Cut down 3x4 cards into small squares or rectangles and added plain white Avery labels to the top for custom event "stickers." 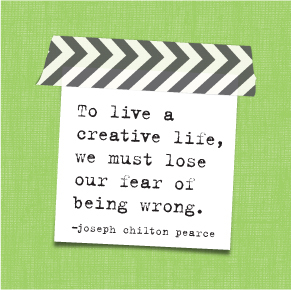 4) Add inspirational quote cards from the POCKET PAGES™ card packs. 5) Cut left over letters (or letters not used often) from the mambi ALPHAchips to make some square "bullets." Jen used lettes like Z and Q that always get left behind in my letter collection to make little gold highlights. Nothing goes to waste! 6) In the upper right corner I made a little laminated card to add the date, highlights of the week, or whatever you want. All I did was cut a white piece of card stock and add a GOR-geous mambi border sticker to the top. I laminated it using a laminating pouch from Dollar Tree.